MUNISING, MI – Gordon Lee Smith, Sr., age 78, of Munising, died peacefully in his sleep at his home on Sunday morning, August 26, 2018. He was born in Yale, Michigan on December 13, 1939 to the late Elwood and Wilma (Schumacher) Smith. After graduation from Yale High School in 1957, Gordon entered into the U.S. Army. He was stationed in Germany and was honorably discharged after his three years of service in October of 1960. On July 21, 1963, he married Janet S. Campbell and together they raised their three children. 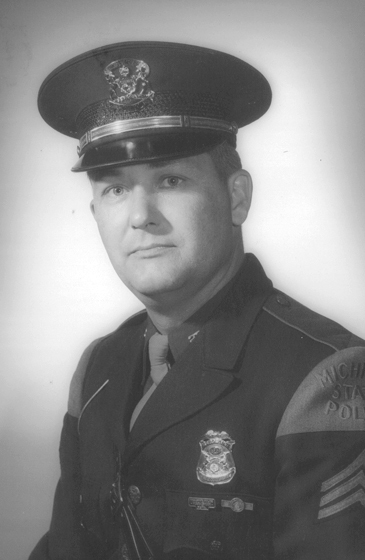 Gordon entered into the Michigan State Police and served at the Lansing, Flat Rock, St. Clair, and Munising Posts from 1963 until 1993. He retired as First Lieutenant Post Commander from the Munising Post. Gordon enjoyed golfing in the men’s league for many years and also enjoyed playing Bridge. Gordon is survived by his wife of over fifty-five years – Janet Smith of Munising; their three children – Laura Smith Barker of Venice, FL, Gordon Smith, Jr. of Munising, and Stephen Smith of Munising; grandson – Ryan (Amber) Smith of Englewood, FL; great- grandchildren – Brycen, Camden, and Fae; brothers – Gary Smith and Randy Smith; sister – Marcia Sampson; brother-in-law – Larry (Sharon) Campbell; and numerous nieces and nephews. He was preceded in death by his parents and sisters Marilyn Kenna and Kathy Termco. Services will be held at the Bowerman Funeral Home on Saturday, September 1, 2018. Visitation will be from 12:00 p.m. until 2:00 p.m. The American Legion and Vietnam Veteran Honor Guard will conduct military honors beginning at 2:00 p.m. and Rev. Paul Kelto, Chaplain of the Michigan State Police will conduct Gordon’s funeral service following the military honors.